For over 60 years MannKidwell provided top quality window treatments in the Richmond area. We can help with all of your interior window decorating needs. Whether you are interested in Plantation Shutters, 2” wood blinds, shades or draperies, we have the right window treatment for you. We can help you update a room, or finish an entire house. 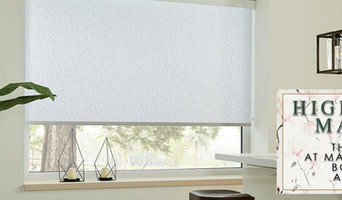 Reinvent your home with new blinds or shades that offer great looks and outstanding performance. 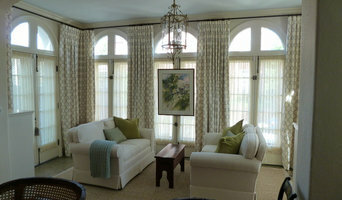 Or choose from hundreds of fabrics for custom curtains and draperies. Whatever new window treatments you can envision, we can help make a reality. Come by our Richmond, VA showroom, or call for an appointment today. A Shade Above is a custom blinds and shutter company with years of experience in providing quality interior decorating to residential and commercial clients. 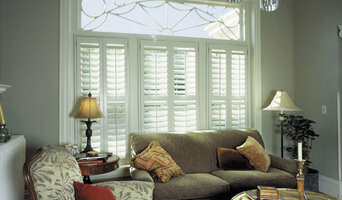 A Shade Above offers a wide selection of the highest quality custom shutters, blinds, and shades. All of our window coverings are custom fitted and professionally installed. We offer a personal, complimentary in-home consultation to help you select the products, colors, and options that best suit your needs and your budget. Their versatility and great looks give great insulation benefits and envious curb appeal. If you’re searching for Richmond, VA, custom window treatments, you can rely on the highly experienced team at Gotcha Covered of Richmond. We have everything you need to create the perfect interior. We offer help from our skilled and talented design consultants in choosing the right window coverings for your space. We also provide the precise measurements and installation of your new draperies to make it easy to upgrade any room in your home or office. With our attention to detail, you can rest assured that every stage of the project will go smoothly and in a timely fashion. We strive to meet your high standards in everything we do and are proud of the high-quality work we provide. In fact, all installations are completed by certified installers, and we thoroughly inspect each window treatment component after project completion. Locally owned and operated, our main priority here at Gotcha Covered of Ashland is your complete satisfaction in our world-class customer service. Discover our beautiful selection of budget-friendly Richmond, VA, custom drapes by scheduling a free consultation from the comfort of your home or office. Feel free to reach out to us, we would love to hear from you! Shenandoah Shutters sells, manufactures and installs custom, solid hardwood plantation shutters in a vast range of colors and styles. 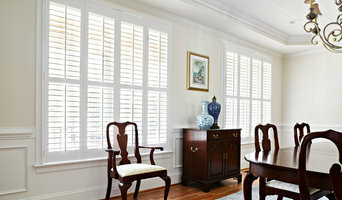 Our superior product quality is the result of the decades of experience our skilled woodworkers bring to each shutter. Every piece is individually cut and hand-sanded before a smooth lacquer finish is applied, creating a surface comparable to fine furniture. Plantation Shutters Richmond provides fast, full "no liability" service for customers interested in quality interior plantation shutters 100% made in Virginia. we are a small workshop with all work done by sally george / owner and managed by her husband robert. we offer all types of custom window treatments and we also do upholstery and slip covers.